Several videos have appeared that show the Russian tactics with some heavy artillery pieces they have. In that video one Russian in the truck, when looking at the village they hit says at 4:19: "poor people that live there". Their way of operation is similar in all videos. There are three artillery pieces. They position them, fire a dozen rounds and then quickly get out of that location. The blast come from the same (three) positions indicating it is artillery and not impacts. That area North of Donetsk was under control of Russians so it must have been their artillery. Yet it is very close to the front line, which is not the safest place for artillery to be. 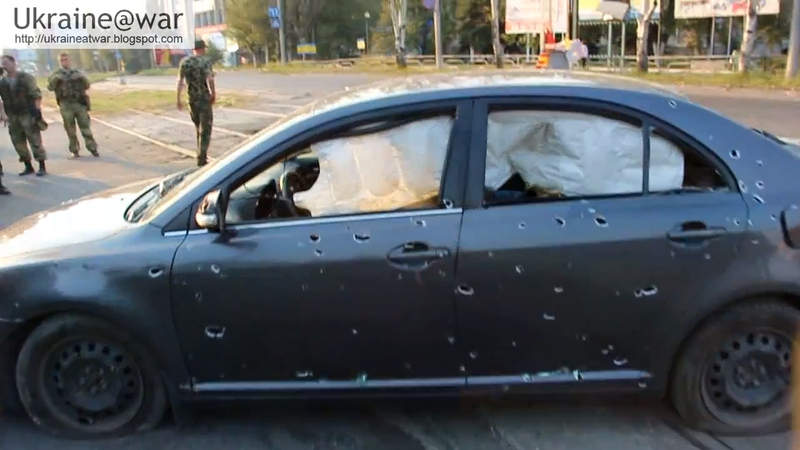 So this may very well be a case of Russian shelling Donetsk, pretending it comes from Ukraine. Note the building/clubhouse on the right. See the building/clubhouse on the right side of the stadium. So this is a very clear example of how the Russians try to PRETEND that the damage they do is caused by Ukraine. 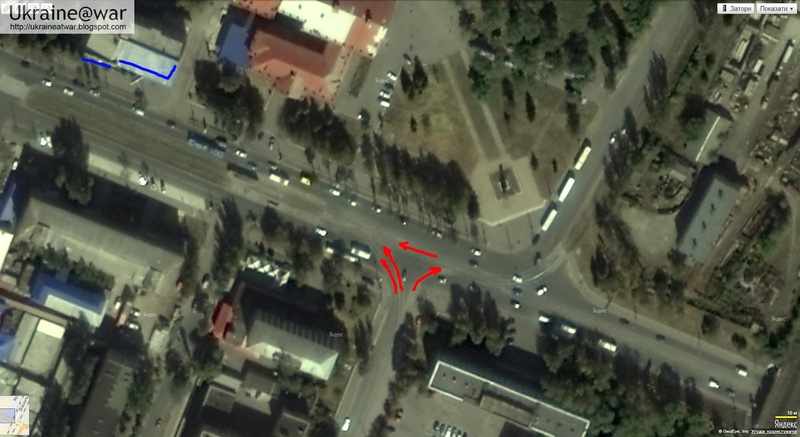 This link tells how 2 shopping malls and a university were hit by shells in Donetsk. There is no military advantage whatsoever to do this. It is done by Russian terrorists. 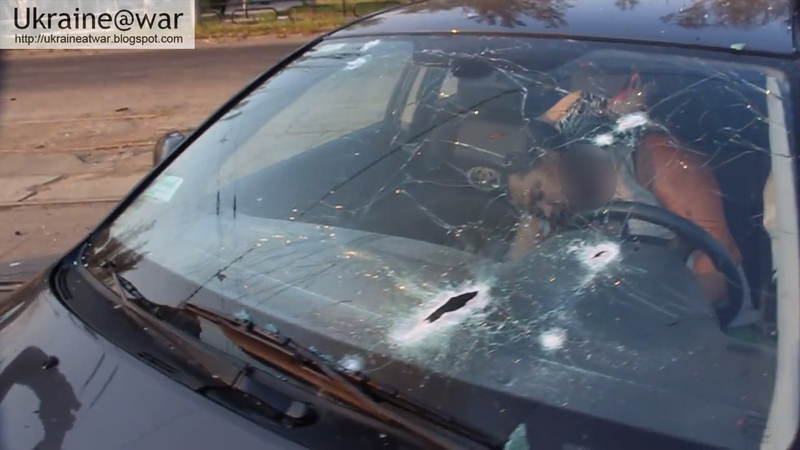 This shooting is from the city, but this is not Ukrainian army. Exactly. The is shooting from new DNR. They want to break all private houses here. They make this especially for picture and for tv for Russia. They make especially this, because they want that it look like Ukrainian army make this. 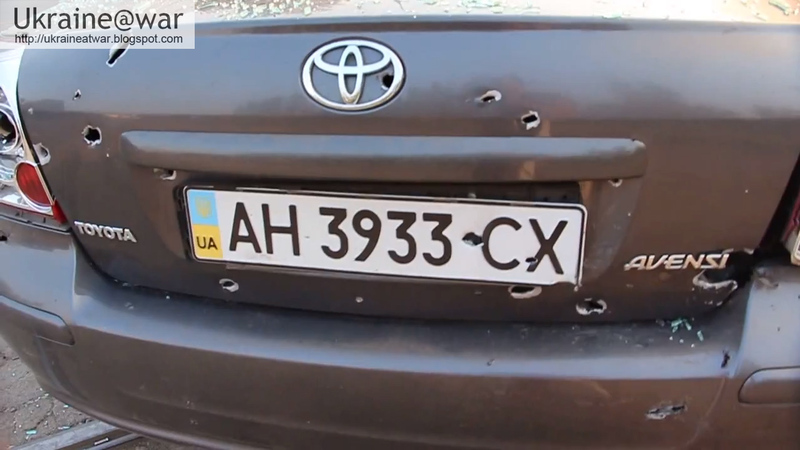 But it was never that Ukrainian army was shooting. Show this on tv what I say: this is only for picture on tv. They said all this was destroyed by Ukrainian army, but Ukrainian army has not destroyed anything here. 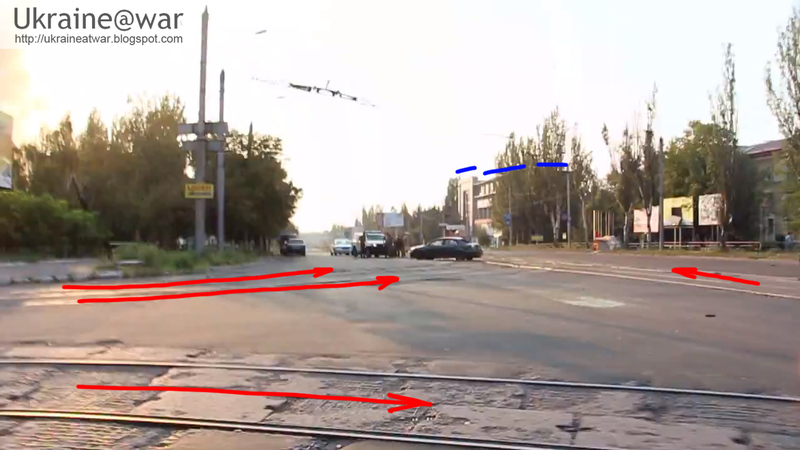 That video is shot in Horlivka August 14th. The irregular pattern of the holes indicates it was caused by an exploding shell. This is how they 'justify' war against Ukraine. Let me know if you have similar examples. Thank you! There has been *almost no one* documenting the terrorist shelling as you have done here. It is very noticeable that Sandford has picked this up - because no one else is documenting this! This has been a Major Fail for the Ukraine side and very frustrating. Excellent material. 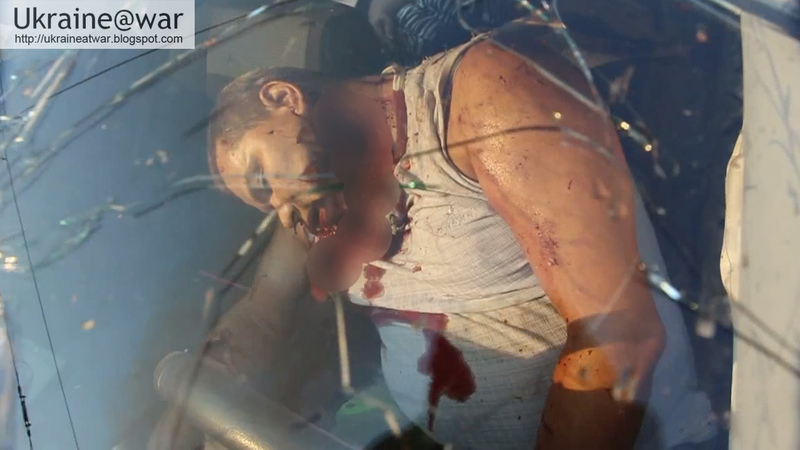 I posted some of your work to LiveLeak - Ukraine channel. Please look at my post of your "Russians shelling Shakhtersk" from above. I hope I did some justice to your work. Of course I have credited you. If this is not acceptable, please inform me and I will remove the post from LiveLeak. Great work, I follow your blog everyday. I would love to see videos made from your work, and Rob Pulse's. Both you guys are doing unbelievable work.